In 2004, Apple had only just started working on development of its iPhone and no one outside the company knew about it, Samsung was focused on the South Korean market, and the hottest thing in wireless was the success of the I-mode mobile Internet service in Japan. As I watched Apple’s launch of its new iPhones and smartwatch this week, I was reminded of a trip I took exactly a decade ago to the ITU’s Telecom Asia expo in Busan, South Korea. 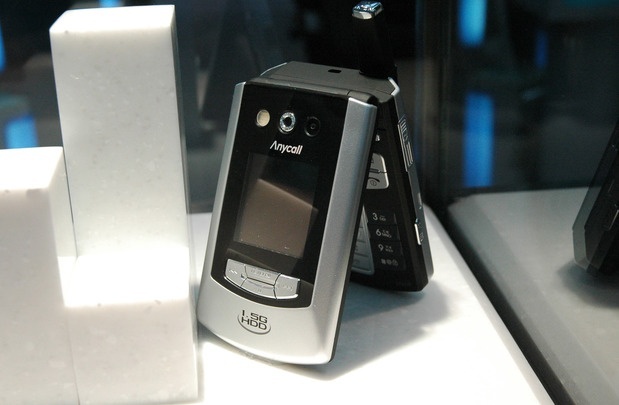 As Tokyo correspondent for IDG, I was used to seeing advanced phones in Japan but some of the handsets in South Korea looked positively futuristic. Recalling those phones, it’s amazing to think how technology has changed in the last decade, and how smartphones have changed our lives. 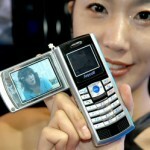 It seems improbable, but satellite TV direct to cellphones was a dream of Japanese and South Korean engineers in 2004. The service was broadcast from a custom satellite and didn’t require the bulky dishes usually associated with satellite TV reception in homes. Samsung’s SCH-B100 had a flip-out screen for watching the programs and packed an MPEG4 video recorder function with a two-hour memory. The 14-channel service cost US$11 per month at the time and was successful for a while, but was later eclipsed by free terrestrial TV and online streaming. In Japan, the service never achieved success. If you think swiping left and right on a bulky smartwatch looks goofy, you probably don’t remember Pantech’s G670 cellphone. The phone had a body temperature sensor on it’s rear that required it to be held up and pressed against the user’s forehead to take a measurement. Apple’s new iPhone 6 packs as much as 128GB of storage and just this week SanDisk announced a 512GB SD card. Imagine how improbable that sounded in 2004 whenSamsung proudly announced the first cellphone in the world … with a hard-disk drive! The SPH-V5400 was only available in South Korea and packed an impressive (at the time) 1.5GB of storage capacity. The phone also featured an FM transmitter so stored music could be played through a radio. 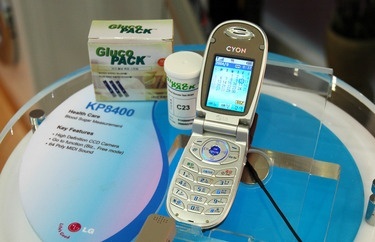 Another phone with a medical twist was LG’s KP8400. It had a built in sensor for measuring blood sugar. You’d put a drop of blood onto a glucose testing strip and slide that into a reader embedded in the clamshell phone. After a few moments, the phone would provide the blood sugar reading. There was even a facility to load the data to an online database over the phone’s GPRS connection.